Home recording as a beginner songwriter can be a daunting prospect. You may be a master lyricist, but when you want to produce a record, you will have to get your head around complicated recording equipment. This can put writers off taking a concept and turning it into a finished product. However, there is plenty of help available for those just starting out. With the right tips, you’ll have a professional quality home studio in no time. Read on to find out how to get started with choosing the right equipment. With professional recording studios in decline and the cost of home equipment coming down, it is a better time than any to create a home studio. If you wish to have unlimited access to your own personal recording space, then building your own is a great idea. However, the most important thing when starting out is to not do too much too quickly. In order to make the investment worth it, keep everything as simple as possible. You want to be putting in the minimum time and effort. Otherwise, you will likely become overwhelmed and feel discouraged. Start with the basic necessities, then you can experiment with more complicated equipment as you build confidence and experience. The computer will probably be the most expensive piece of equipment used in the recording process. If you are aiming to make recording as quick and easy as possible, then you want a powerful laptop, such as the latest Macbook. However, most people already have laptops which are powerful enough for beginner recording artists. If you already have a decent laptop running off Intel Core i3 or higher, then this is probably all you need. Don’t buy a new laptop just yet, but instead invest that money in other equipment. After a laptop, your most important piece of equipment will be the digital audio workstation (DAW). A DAW is the system used for recording and editing audio. Getting the cheapest equipment will lead to poor quality, but you can save money by getting a DAW and audio interface combo. An audio interface for home studio recording is the hardware which connects your recording gear to your computer. By getting these two items combined, you’ll save both time and cash. Once you have these two expensive items, you can purchase a microphone and whatever else is needed regarding the instruments you are using. Remember, keep it as simple as possible. Ease yourself into the process, while reminding yourself that every musician finds this process complicated and confusing. By taking baby steps, you’ll eventually be recording professional quality music from your own home. Nowadays, it’s easier than ever to produce and distribute songs through online databases and sharing platforms. No matter how great your music might be, however, it will never gain notoriety without a solid marketing strategy. There are multiple avenues through which new artists can promote their album and launch a successful career in the music industry. Even though the Internet is becoming one of the primary stages for new musicians, it still can’t compare to the personal touch. A live event offers unique marketing opportunities that you simply don’t have in an online forum. You can promote a new song before it’s been officially released, or sell merchandise with your band name on it. If you’re an emerging artist, you can schedule to open for bigger names to gain exposure. Not only will this bring in a bit of extra cash flow, but you’ll also reach fans that are already into your genre of music. You can grow fan bases in other cities by scheduling out-of-state tours. Websites like Facebook, Twitter, Instagram, and more can be an invaluable tool when connecting with fans. You can make social posts about new music and upcoming shows that your fans can share to help spread the word about your music. Social media sites are also a good way to keep up with other musicians so that you can work on building a professional network. While building a website may sound like a daunting endeavor, it’s actually easier than you might think. Sites like WordPress and GoDaddy make it simple for even the tech-illiterate to set up a website where their fans can visit to get the latest news and updates. You can include samples of your music, bios about you and your bandmates, and even landing pages to help you create an email signup list. Collaborating with other musicians is not only a great way to improve your skills, but it can also expose you to an entirely new fan base. It’s best to work with bands of a similar genre, as their fans are already likely to enjoy the style of your pieces. You can release mash-ups on your album or through channels such as YouTube. Collaborating doesn’t have to mean writing a song together, however–you can always simply agree to share and follow each other on social media for more exposure. It’s not easy to get your name out there as a new artist. By promoting yourself online and in person, though, you can work to build your brand and successfully sell your debut album. Can you think of any process, artistic or otherwise, that hasn’t yet been digitized? Desktop publishing, graphics, website creation, photo editing. Some of these you can even do online – for free! The temptation can be overwhelming for some people. Especially when you consider the quality you can get. It’s almost as if you were missing out for not coming onboard the DIY route. Digital democratization has brought high level professional tools into more hands than ever before. The Mastering process is no exception. But this blog is not about analog vs. digital or hardware vs. software. And it’s not about whether you may or may not have the qualifications to use those tools. This is about why you should hire a mastering engineer to master your music instead of going the DIY route. And I’ll spare you the quips about it like ‘doing your own dentistry’, or ‘being your own lawyer’! Ever play a mix for friends or colleagues you did yourself and thought was ‘finished’, then suddenly hear glaringly obvious mistakes?! Were you suddenly providing a running commentary of excuses? It’s similar to writing an article. You double and triple-check, only to have someone point out a spelling mistake, or ask what this sentence means? Why do we miss those things one time that suddenly seem blatantly obvious later? The reason is because we get so close focusing on a project at different levels in different degrees that we start to lose sight of that overall important big picture. 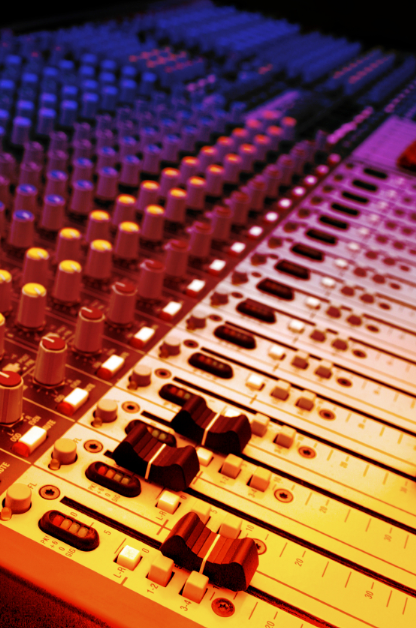 Hiring a mastering engineer gives you a professional, experienced, objective point of view. Think of it like having a proofreader for your work. A mastering engineer is your insurance that you only put your best foot forward, and are spared embarrassing mistakes. You’re not paying the mastering engineer for their tools or software collection, either. You’re paying for their experience in using those tools. Mastering engineers give an experienced listen on a system they know intimately in terms of translating to other systems. They balance your artistic desires and preferences with what’s commercially acceptable for your particular work in the marketplace. They will listen, consult, advise, revise if necessary, anything that needs to be done to ensure you can share your music confidently with the world! They do so passionately – but objectively. No tools – software or hardware – can give you that kind of involved human input. Hiring a mastering engineer gives you a professional, experienced, objective viewpoint for your music. It can protect you from awkward, embarrassing mistakes. That is why it is a necessary and worthwhile investment. -Karl Machat is an S.A.C. member and a mastering engineer at Mister’s Mastering House. He has been putting the final touches on artist music projects for more than ten years.